Convenient ready-to-eat low carb snack pack with just 1.5 net carbs per serving. Low carb, gluten free and no artificial sweeteners. Delicious and satisfying low carb snack to go! 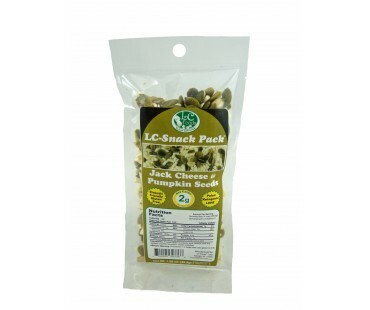 This low carb snack pack has a tasty combination of freeze dried monterey jack cheese and dry roasted unsalted pumpkin seeds (pepitas). This is my favorite snack pack. Crunchy, cheesy yumminess.